Fancy upgrading your broadband speeds this Black Friday? TalkTalk is now offering the cheapest price for widely-available fibre broadband in the UK ahead of the blockbuster sales event. TalkTalk's fibre internet bundle offers average download speeds of 36Mbps, which is comfortably more than the 25Mbps that Netflix recommends to stream its pixel-packed Ultra HD shows and movies. 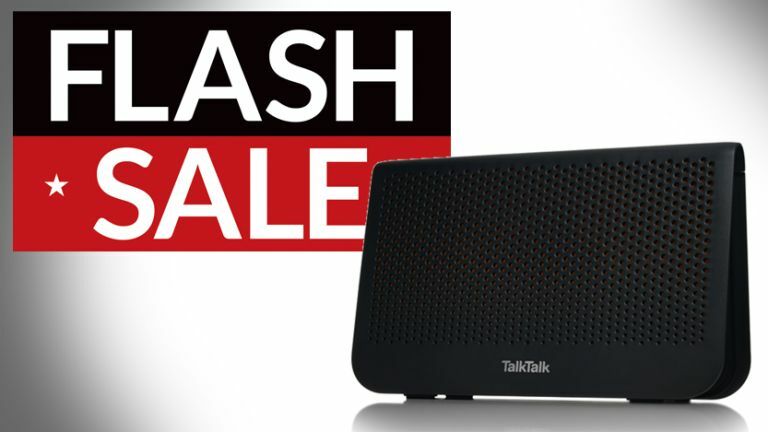 The deal includes a free TalkTalk Wi-Fi Hub, which the telecoms firm claims usually costs £120, although you'll still have to cough-up the £9.95 delivery cost for the router. However, TalkTalk is waiving the activation fee for new broadband subscribers who sign-up to the Black Friday deal. The 18-month fibre broadband contract costs £19.95 a month – one of the cheapest prices for fibre broadband on the market right now. In fact, the discounted TalkTalk contract is second only to Hyperoptic, which is only available in around 1% of the country and pips the latest £20 a month bundle from Vodafone. TalkTalk is offering one of the best price for fibre optic internet right now. This Black Friday deal gets you fast speeds, unlimited usage and UK weekend calls. The contract price is fixed so you won't be facing any nasty price hikes during the contract. If you're still undecided, why not head over to T3's definitive best broadband deals page, or use the interactive chart below to see what else is available in your area?